This week, hundreds of people from the International Hearing Voices Movement are gathering in Thessaloniki to share experiences, ideas and inspiration during our 6th World Hearing Voices Congress. This is somewhere where taboo experiences like voices, visions and unusual beliefs, feel as if they can be talked about openly without fear of ridicule or discrimination. However, we are also aware that – for many of us – this is a rare opportunity. To celebrate the congress, and hopefully create something with a lasting impact, the Intervoice Board is launching a new initiative to help raise awareness of the Hearing Voices Movement and its impact on people’s lives. We are asking people who are involved in the Hearing Voices Movement (whether they are a voice-hearer, vision see-er, family member, friends, ally, worker, academic …) to create a short (60 second, max) video telling the world what the Hearing Voices Movement means to them. Once we receive enough videos, we will upload them to YouTube and use them on our website and social media to spread the word. 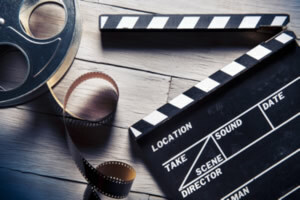 You don’t have to be Steven Spielberg to take part – all you need is someone with a camera phone that takes videos, something to say and an internet connection. Will will send you a thank you email, and let you know when (and where) your video is displayed. Please note: uploading your video implies that you give you consent to Intervoice to use the video on its website, social media and in conferences/events to promote the Hearing Voices Movement.